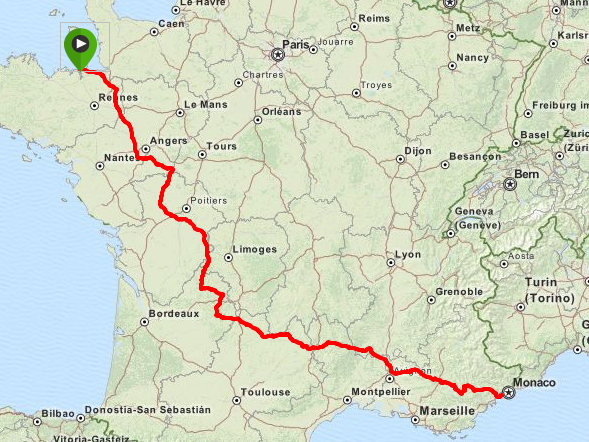 If you enjoy cycling and travelling, why not combine the two and take a cycle touring trip to France this summer? That is if we haven’t pulled out of the EU, as a visa may then be required before crossing the channel. 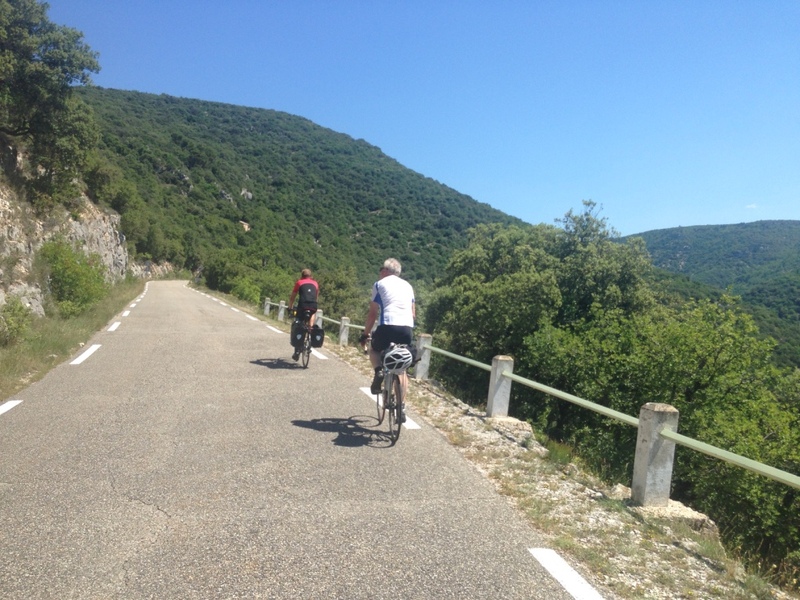 Last summer I cycled from St Malo to Nice following a route published in France en Velo, from the English channel to the Mediterranean, with my brothers John and Paul. The trip followed the less well travelled routes across Brittany, the Loire Valley through the Limousine to the Dordogne, before tracking east along the Lot river and into the Cervennes and finally Provence and through the Alp Maritime. We eventually arrived in Nice and rented a small apartment for three days of rest and recuperation. 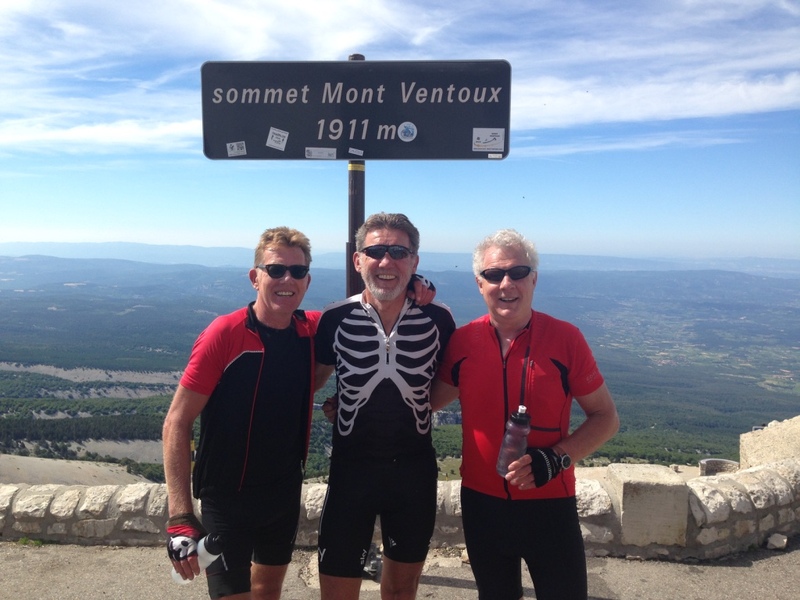 During this trip we cycled approximately 45 to 85 miles per day, depending on the terrain, as this was a leisure ride and apart from making a detour to climb Mont Ventoux, we were simply moving from place to place and exploring the beautiful French countryside. 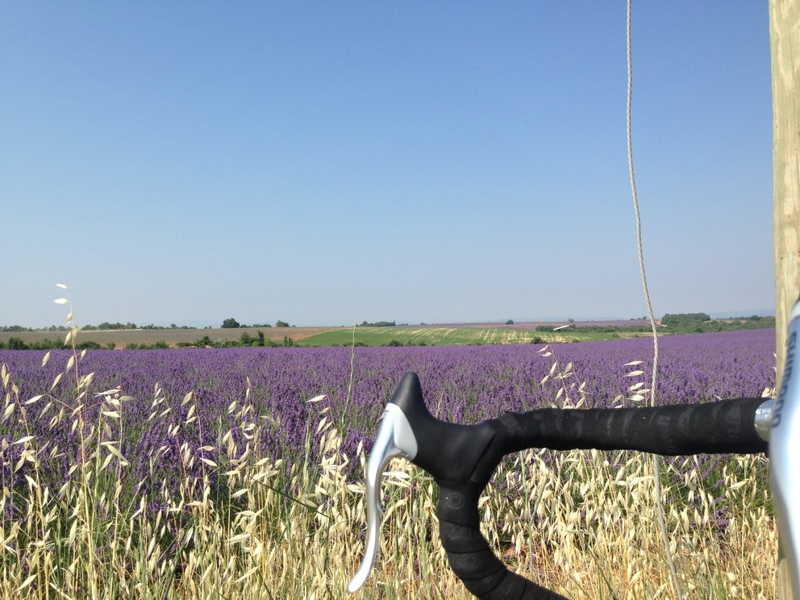 France is an excellent place for cycle touring for a number of reasons: The weather is often nice, particularly as you head south – so take sunscreen! 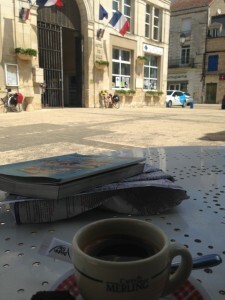 Every town has an office du tourisme which will provide information and assistance in finding suitable accommodation, including camping, chambre d’hôtes (B&B) and gîte d’etape (hostel). All prices are regulated and therefore good value for money. During the summer however there is high demand for accommodation and it is wise to book in advance if you are planning to visit the more popular places. 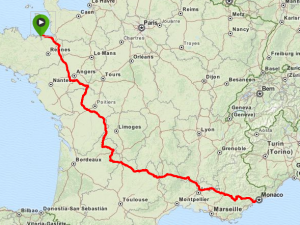 The French roads are generally better maintained and quieter than in the UK, having also completed Lands End to John O’Groats last year I can make the comparison. 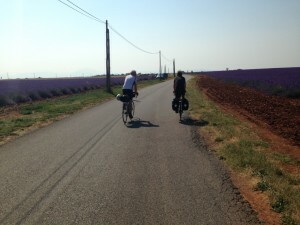 Cyclists also tend to be well catered for, although cycle touring was less common than other kinds of riding. Finally one must not forget the food and drink, roadside picnics typically consist of bread, local pâtés, cheese, tomatoes, avocado, crisps and fruit, all washed down with a big bottle of water. I can also recommend baguette, local cheese and red wine as an excellent combination of tastes. 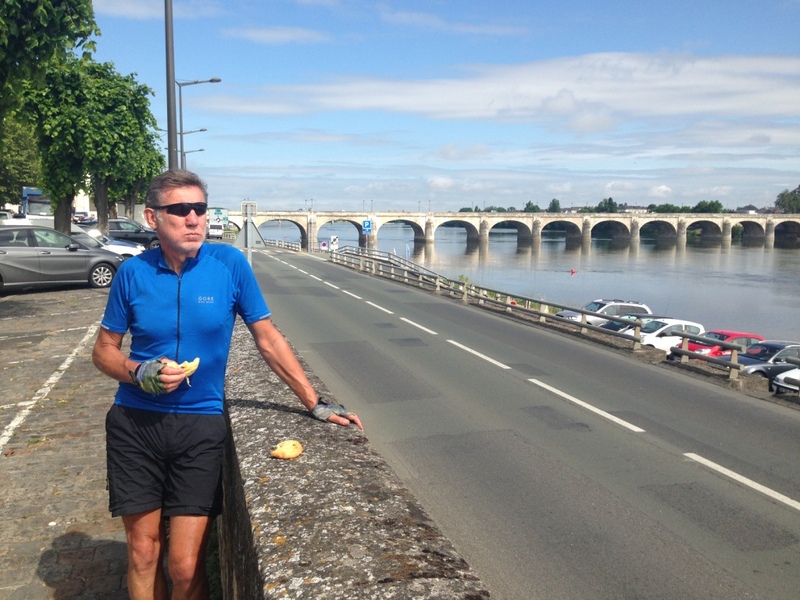 When you push yourself beyond your limits, climbing above the gorge in the heat and hunger of the moment, with every sinew straining and the road rising ever steeper on and on, what keeps you going is the thought that John has the croissants in his pannier and he is just up ahead.